Musical.ly was a popular short-form (15 seconds) video streaming and sharing app, with over 100 million users, up until August 2018. The app allowed users a plethora of music and dialogue options, with which they could lip sync and make funny or entertaining videos. The app was widely popular with some content creators rising to the hall of fame based on their engaging content on Musical.ly. The users shared Musical.ly videos on social media platforms like Instagram, further driving the app’s popularity. However, in August 2018, the app was taken over by a Chinese company ByteDance and its users were moved to Tik Tok. All of the content and accounts that were present on Musical.ly were automatically transferred to the new Tik Tok app. How Can Brands Leverage Tik Tok? Tik Tok is a short-form, video-sharing app that allows users to create and share 15-second videos, on any topic. Tik Tok maintains a separate app for the Chinese market, known as Duyin, which has over 300 million active monthly users. The new app’s logo is a combination of the Musical.ly and Duyin logos. The Tik Tok app offers users a wide selection of sounds and song snippets, along with the option to add special effects and filters. There is also an option to directly add videos created on your phone. In September, Tik Tok added the reactions feature which allows users to record their reactions to videos and share. Tik Tok has also added a digital well-being feature that alerts users when they spend over two hours on the app. The new app is being promoted as a video-sharing social network. Tik Tok users can create a variety of videos ranging from challenges, dance videos, magic tricks, and funny videos. The key differentiating factor between Musical.ly and Tik Tok is that the latter has a much broader scope for video creation. Since its launch, the Tik Tok app’s popularity has been growing tremendously. In October 2018, it was the most-downloaded photo and video app in the Apple store, globally. The app reportedly has amassed over 500 million monthly active users, the US being the most popular countrywhere it has been downloaded over 80 million times. The app is liked and used by several celebrities, such as Jimmy Fallon, who helped drive the app’s popularity. The app has paid partnerships with several celebrities, in various regions, who promote the app to local audiences. Jimmy Fallon’s interest in the app started naturally but was later capitalised on by the app, through a paid partnership. In November 2018, Jimmy Fallon started a “challenges” section on his show and used Tik Tok as a platform for the challenge. He urged his viewers to take on the #TumbleweedChallenge and post videos on Tik Tok of themselves rolling like a tumbleweed. The TV host himself took the challenge, to kickstart this trend. 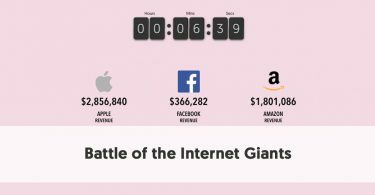 The challenge went viral and gathered over 8,000 entries and 10.4 million engagements, within a week. The Tik Tok app also has celebrity partnerships in other regions. When it launched in Japan, the app roped in celebrities like Kinoshita Yukina, Kyary Pamyu Pamyu, and Watanabe Naomi. In Thailand, Tik Tok collaborated with social media celebrity Kaykai Salaider, and in India with Aashika Bhatia. Celebrity partnerships have been a key tactic in Tik Tok’s geographical expansion strategy. The app uses celebrities and influencers to drive buzz around the platform and generate viral content. These celebrities not only post content on Tik Tok but also promote Tik Tok on other social media channels. For example, in the post below, Indian celebrity, Aashika Bhatia, promoted the Tik Tok app on Instagram. Apart from paid partnerships, the brand also benefits from popular social influencers and celebrities who use the platform. These celebrities help bring in their followers to the Tik Tok app. Another key driving factor in Tik Tok app’s popularity is the fact that despite being a global app, it has a strong focus on localised content. The app often runs local contests and challenges and captures on local trends through the use of localised hashtags. Tik Tok runs the “1 million audition” contest across several countries, separately. For each contest, participants are given themes to create videos and then the top video creators are awarded. This contest not only leads to the creation of thousands of local videos, for each country where it is held but also helps Tik Tok creators gain recognition and followers. One such contest held in Russia in September 2018 gained 31,000 video entries and millions of views from Tik Tok users. Thus, it helped promote the app in the country. 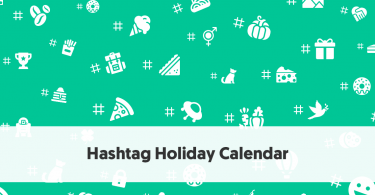 The app also uses local trending hashtags to suggest topics for content creation to its users. This helps the app capitalise on local trends and generate viral content for the platform. For example, “Seaweed Dance” was a fun video type that went viral in China. Tens of thousands of Tik Tok users created a video on this theme. Tik Tok also sends personalised recommendations to each of its users. This ensures that Tik Tok users are always updated on the latest trending videos and are never out of ideas for video creation. Using these techniques, Tik Tok has been able to pull off localisation on a global scale. The Tik Top app has simplified video creation and sharing and taken it to the next level. All users have to do is record anything and everything from their daily routines and post it instantly. Due to the short format, neither the video-creation nor the watching process takes much time or effort. Additionally, this short-form video content is played as soon as a user opens the app. The videos start playing one-by-one and a viewer gets lost in a sea of fun, entertaining, addictive video content. Due to this addictive nature of the type of content, it is very easy for people to keep watching random videos for hours. Tik Tok does not have any space for traditional display ads and is not even in competition with other social media platforms, in terms of it being a marketing channel. However, due to its fast growth and rising popularity, many brands are now realising the potential of Tik Tok as a marketing channel. Several brands have utilised techniques like Tik Tok challenges and contests to get users to generate brand-related content. Brands are also leveraging hashtags, in a more or less similar fashion as on other social media platforms, to promote their Tik Tok marketing campaigns. Take, for example, Guess brand’s #InMyDenim campaign. On September 1, 2018, the Guess brand took over Tik Tok and invited all US-based Tik Tok users to their #InMyDenim hashtag challenge. The contest urged users to create video content wearing denim (of course) and using the hashtag. This was the start of Tik Tok’s brand partnerships in the US. Another way in which brands can use Tik Tok is to collaborate with Tik Tok celebrities to create brand-specific promotional content. This will be similar to any other influencer collaboration, just with the 15-second Tik Tok video format. The current popularity of the Tik Tok app is astonishing but still does not guarantee that it will ever reach the levels achieved by other social networks like Instagram and YouTube. Vine was an extremely popular video-sharing platform back in the day, but it is completely out of the picture now. And there are many other apps that quickly rose to fame and then disappeared. To maintain its current popularity, Tik Tok will have to keep innovating and finding new ways to engage their user base. They will also have to make the platform more marketing-friendly for brands in order to establish the app as a social network that is going to stay. 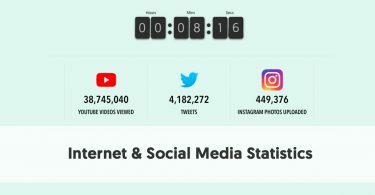 With more brands looking to Tik Tok to further expand their social media marketing reach, Tik Tok is on the right track. If it is able to capitalise on brand engagements, it is sure to grow further and may even be able to compete with other social media platforms. In a nutshell, Tik Tok is a fun, entertaining, and addictive app which has seen a surge in popularity in the last few months. 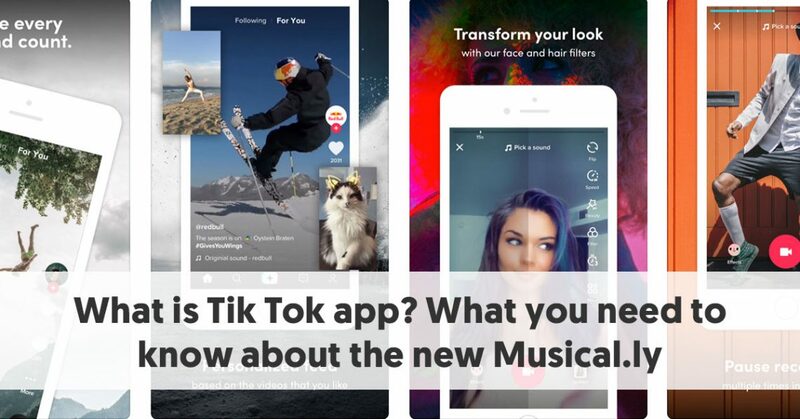 The Tik Tok app also has the potential to become the next big marketing and social networking platform. However, how the app creators leverage this potential and maintain the current popularity of the app, has yet to be seen. What type of Tik Tok content are you addicted to? Share in the comments below.